UCL has appointed award-winning economist Professor Mariana Mazzucato to establish and direct a new Institute within The Bartlett. Professor Mazzucato joined UCL on 1st March to establish the Institute for Innovation and Public Purpose. Mazzucato is author of the highly-acclaimed book The Entrepreneurial State: debunking public vs. private sector myths (Anthem 2013; Public Affairs, 2015) and winner of the 2014 New Statesman SPERI Prize in Political Economy and the 2015 Hans-Matthöfer-Preis. She has advised policymakers around the world on how to deliver ‘smart’, inclusive and sustainable growth and in 2013 she was named as one of the ‘3 most important thinkers about innovation’ in the New Republic. The new Institute will build on Mazzucato’s work on the Entrepreneurial State and Mission-Oriented Innovation. It will explore how the public, private and third sector can work together in new and dynamic ways to drive innovation in order to tackle societal and technological challenges and shape and create new markets. IIPP aims to radically rethink public value creation and develop a new framework for the way that public policy driven by public purpose is justified, nurtured and evaluated. Professor Mariana Mazzucato (PhD) currently holds the RM Phillips chair in the Economics of Innovation at SPRU in the University of Sussex. She has held academic positions at the University of Denver, the London Business School, Bocconi University and the Open University. Her book The Entrepreneurial State: debunking public vs. private sector myths (Anthem, 2013; Public Affairs, 2015) was on the 2013 Books of the Year list of the Financial Times. It focuses on the need to develop new frameworks to understand the role of the state in economic growth—and how to enable rewards from innovation to be just as ‘social’ as the risks taken. 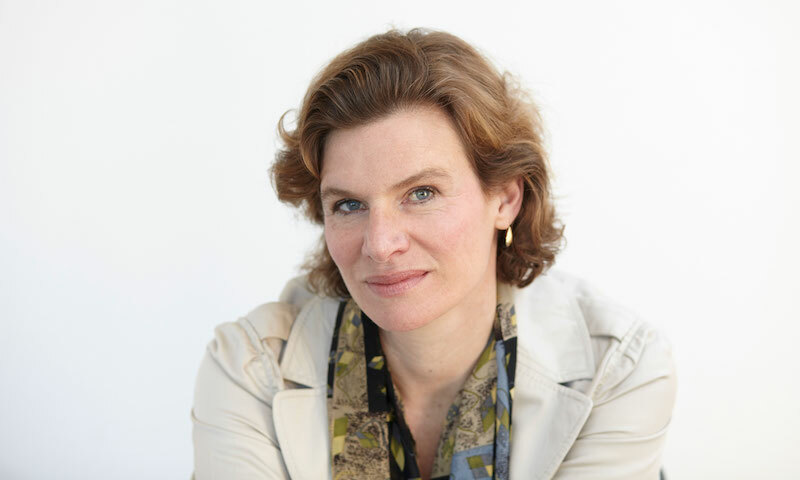 Professor Mazzucato is winner of the 2014 New Statesman SPERI Prize in Political Economy, the 2015 Hans-Matthöfer-Preis and in 2013 she was named as one of the '3 most important thinkers about innovation' in the New Republic. She advises policy makers around the world on innovation-led growth and is currently a member of the Scottish Government’s Council of Economic Advisors; the World Economic Forum’s Council on the Economics of Innovation and SITRA’s (the Finnish Innovation Fund) Advisory Panel. Her current research projects include two funded by the EC Horizon programme: Innovation-fuelled, Sustainable, Inclusive Growth (ISIGrowth) and Distributed Global Financial Systems for Society (DOLFINS), and a new project on Rethinking Medical Innovation by the Open Society Foundation. She has also recently worked on research projects through the Ford Foundation, the Institute for New Economic Thinking, and commissioned work by organizations including NASA, the European Space Agency and the Brazilian Ministry for Science and Technology. Between 2009-2012 she directed a large 3 year European Commission FP7 funded project on Finance, Innovation and Growth (FINNOV). She is co-editor of a new book, Rethinking Capitalism: Economics and Policy for Sustainable and Inclusive Growth (Wiley Blackwell, July 2016), and is currently writing The Value of Everything, to be published by Penguin’s Allen Lane in 2017. Her highly viewed TED talk, her various research projects and outputs, and her media engagement, including a Lunch with the FT interview, and a TV interview on CNN GPS with Fareed Zakaria, can be found on her website – www.marianamazzucato.com. She tweets at @MazzucatoM.